Happy July! How is everyone's summer going? My summer is going pretty darn great and I am hoping the good times continue. 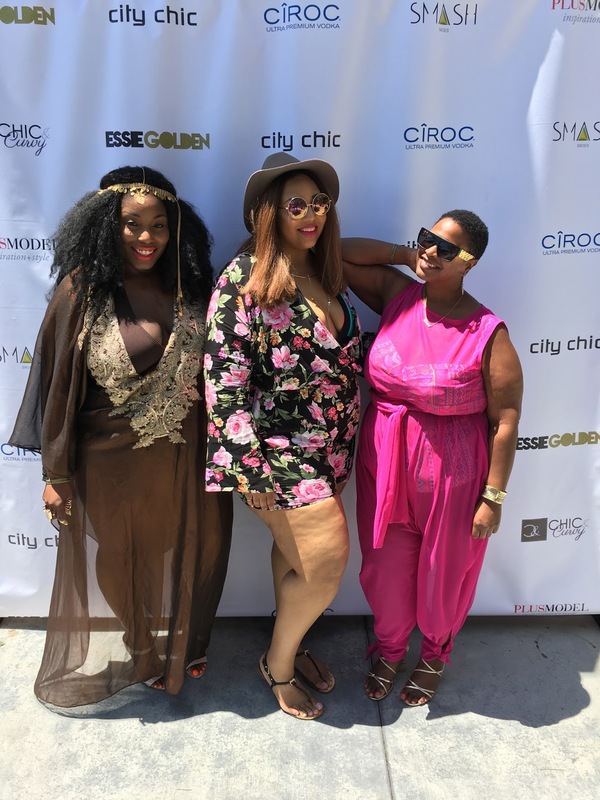 I attended the Golden Confidence pool party this past weekend. Essie has truly created something special and I was so happy to be apart of it. It was so amazing to see so many gorgeous women enjoying themselves and carefree in their swimsuits. Check the #GoldenConfidence hashtag on Instagram to see all the action. When the Los Angeles pool party date was released, I immediately knew what I would be wearing. You can never go wrong with Jibri…I felt like an absolute queen in this cover up from last years Poolside collection. This particular coverup is sold out, but check her latest collection here. Paired with this bikini, I was beyond ready for some poolside fabulousness. *There is one last city left on this pool party tour. If you're in or around the Miami area, go and have an amazing time! I will come back to this place, its huge and open, and have really tall ceilings. Wait staff was also pretty good. Bartender at Chicago event space was awesome and personable. I was really pleased with my party here. Ha! I highly recommend these guys.